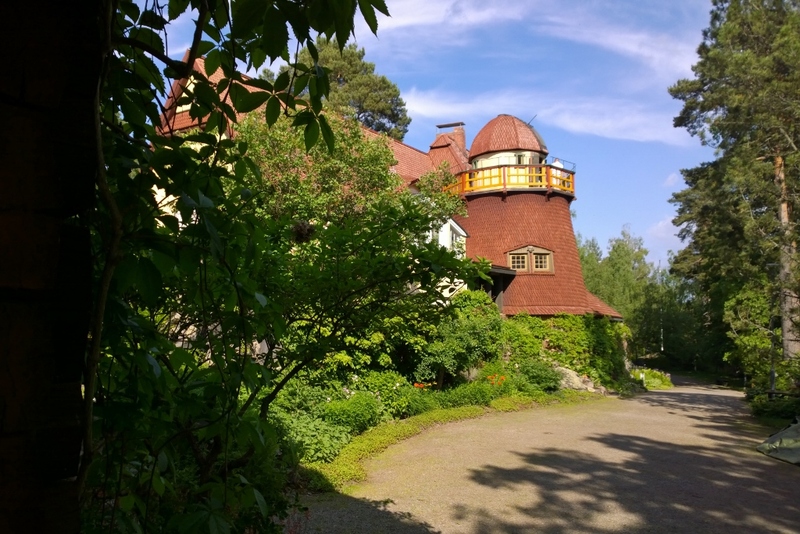 Let’s go back a century to Visavuori, a gorgeous example of the lifestyle of the most successful artists of the Finnish national romanticism era. The men were cosmopolites having lived abroad and studied at the best art schools of Europe. However, when returning home they wanted to settle down in the countryside and lead an uncomplicated life close to nature finding their inspiration in national traditions. 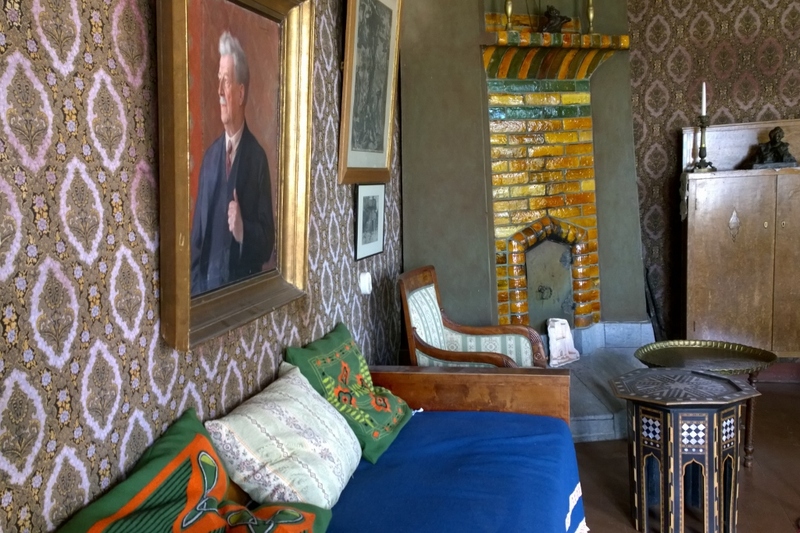 I already wrote about the studio of sculptor Emil Wikström (here). 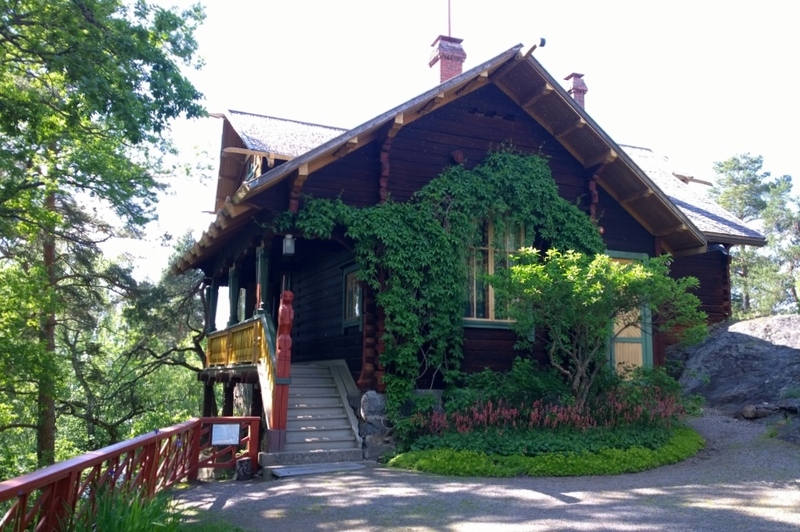 This post concentrates on his home, the other of the turn-of-the-century buildings at Visavuori, now a museum in Sääksmäki. 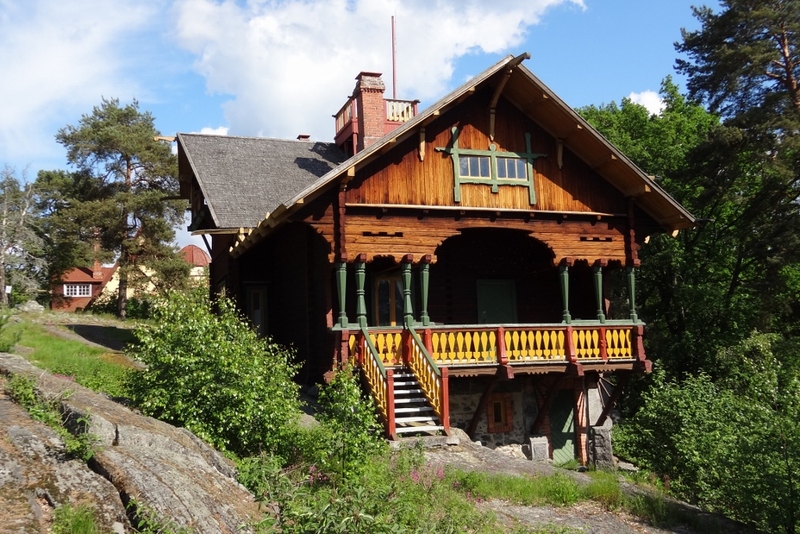 The first building on the site housing both Wikström’s home and studio was completed in 1894. Only two years later it burned down in a fire when a kitchen maid placed a basket on coals that she didn’t notice hadn’t been extinguished yet. 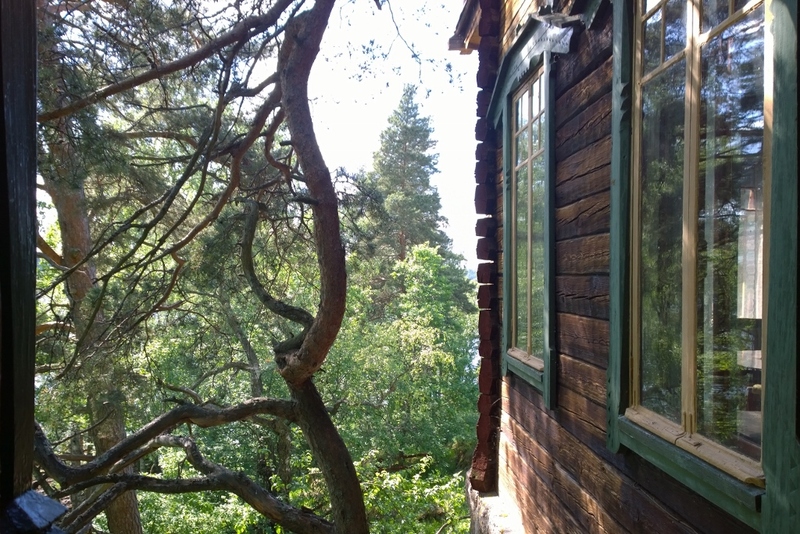 Wikström was not discouraged by the setback but started sketching a new studio and a separate home. 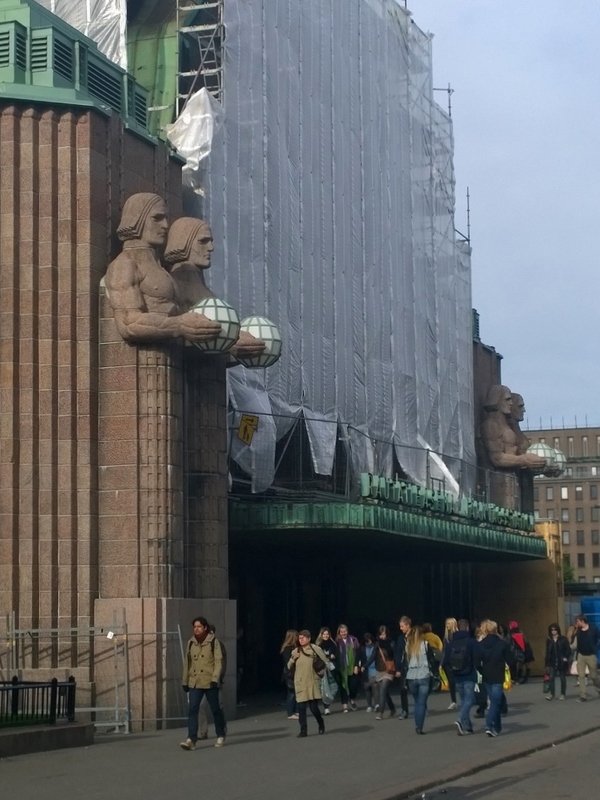 A few years earlier, he had won a major sculptural competition for the pediment of the House of the Estates in Helsinki. It still is the most demanding sculptural project in our country. 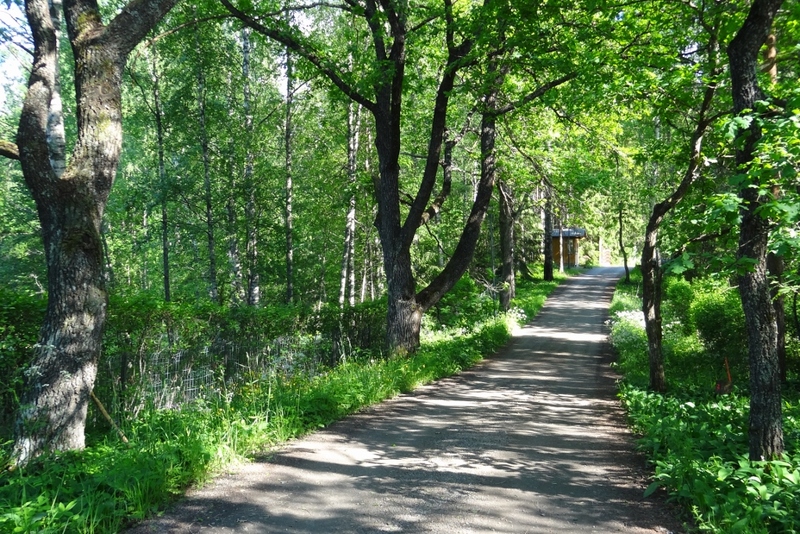 The huge commission provided him the means to create a new, even grander Visavuori. 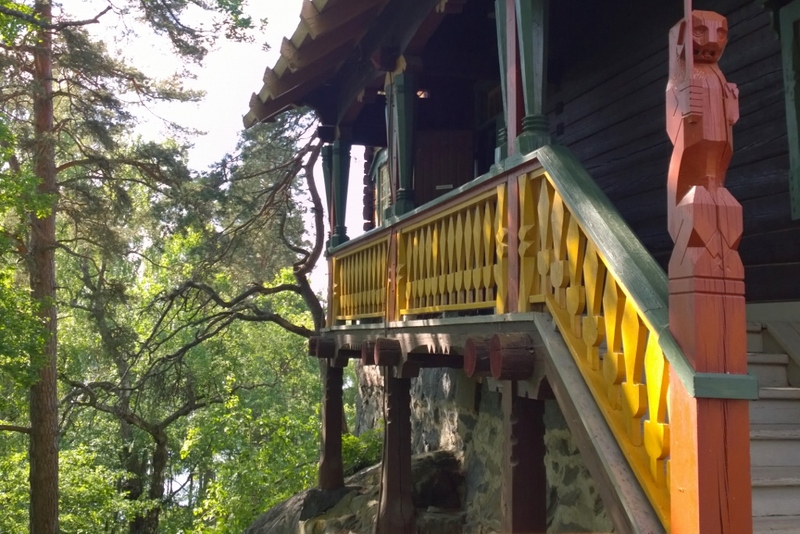 While the new home and studio were being built, Wikström returned to Central Europe living there for almost five years, but now he also had a wife and a daughter. 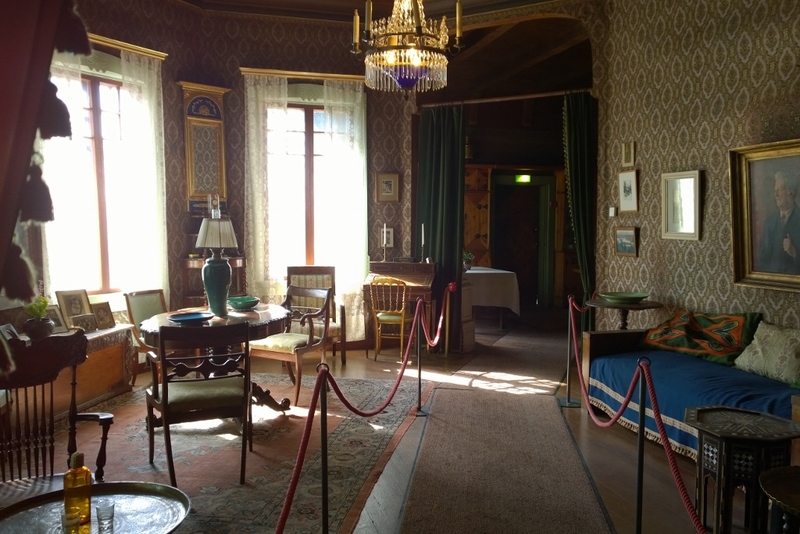 His wife Alice was the daughter of a French-speaking tutor from Switzerland who had come to Finland through marriage, which must have been one of the reasons why they chose Paris as their temporary residence. 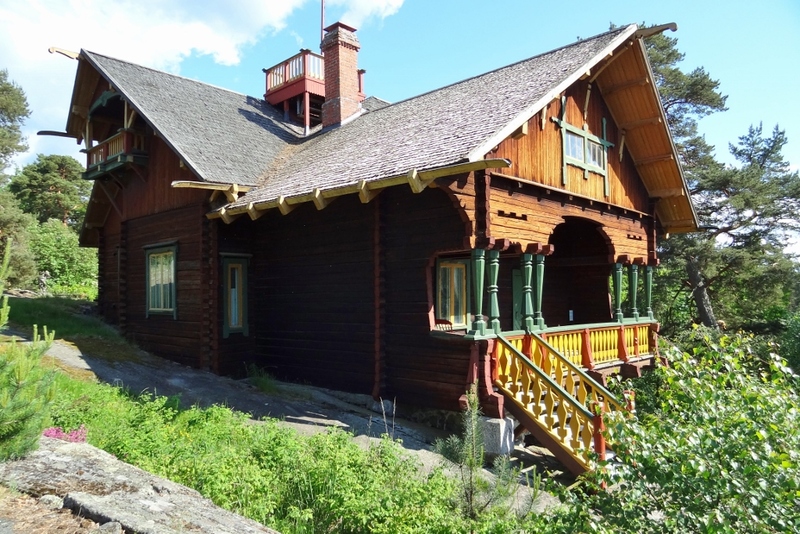 The family moved back to Visavuori as soon as the new home was completed in 1902. (The first phase of the new studio was completed a year later.) 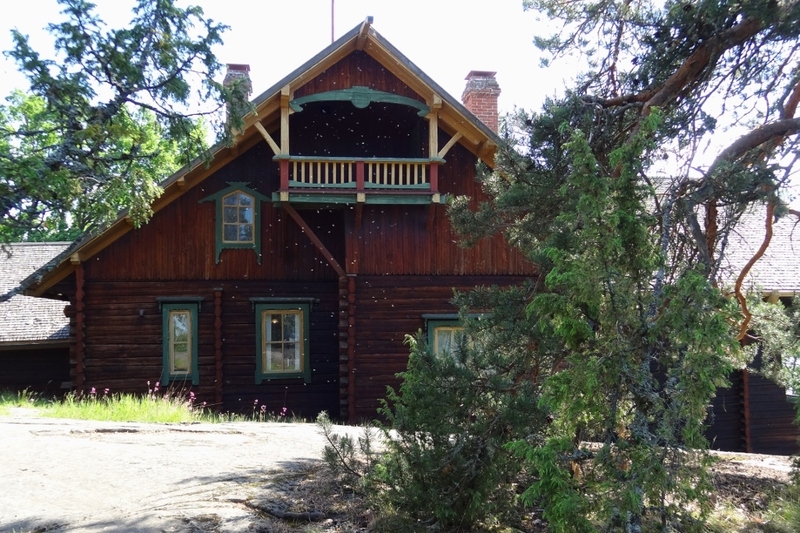 Today, the house is a fabulous and rare example of Karelian style architecture. 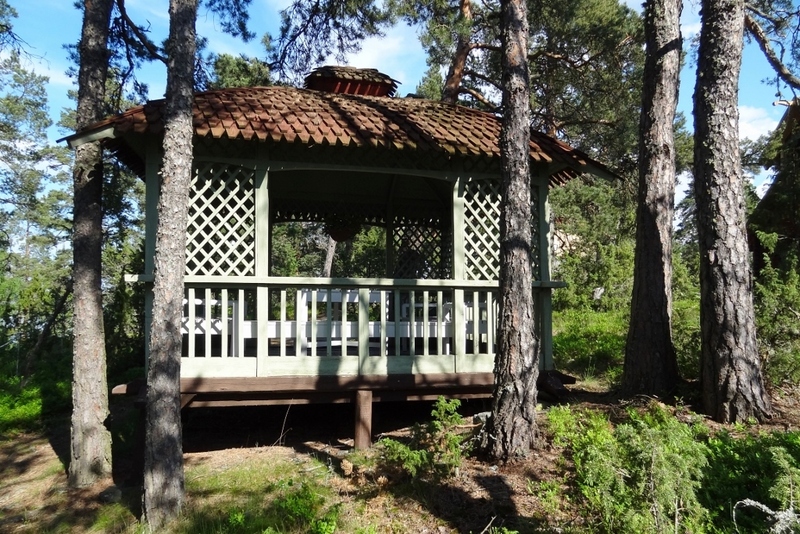 It is built of logs treated with tar tinted with red ochre. 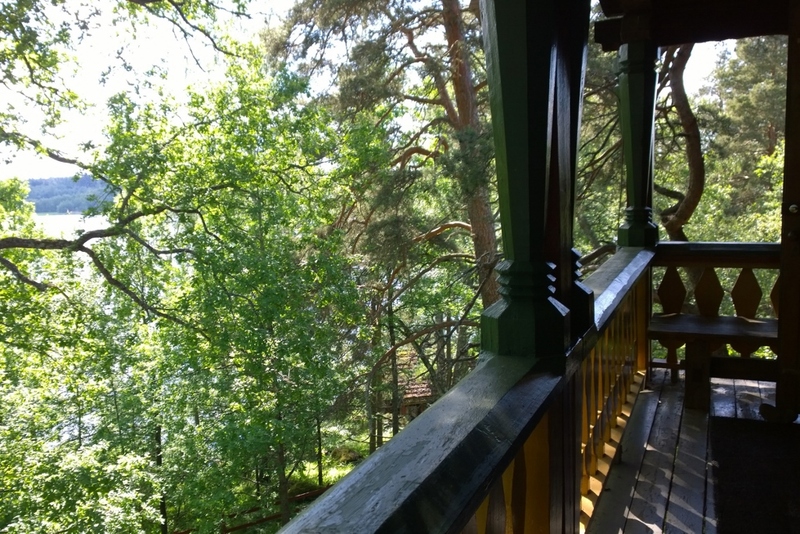 There are two verandas, one small balcony and even a lookout on the rooftop, all rich in decorative wood carvings adorned with a colour scheme of red, green and yellow. Portrait of Alice Wikström by Dora Wahlroos. 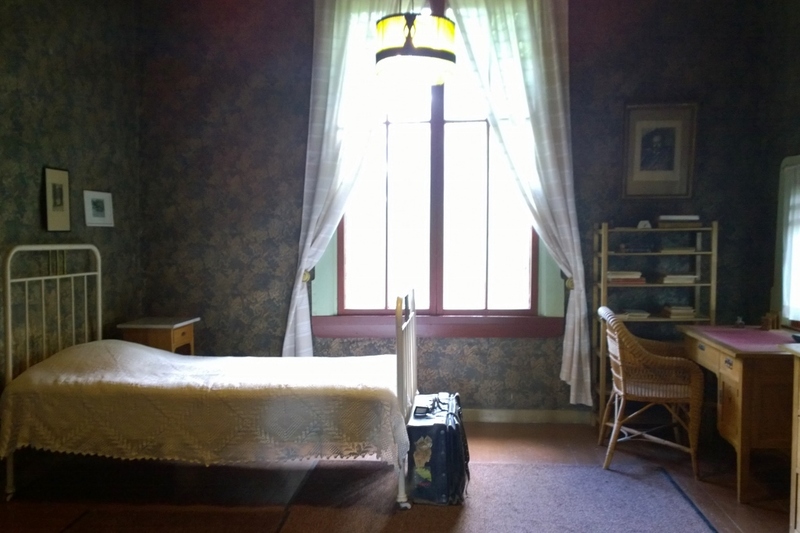 The interior, however, is very far from the national romantic exterior. 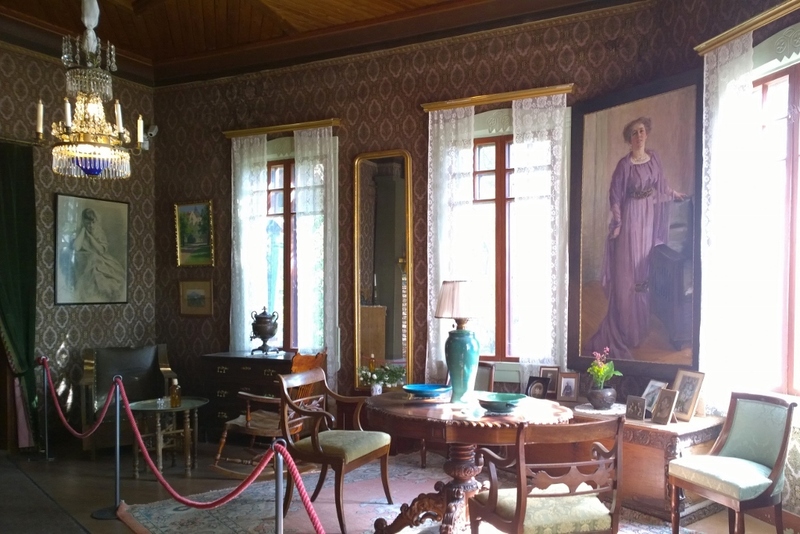 The style of the decor is strikingly Central European reflecting the background and taste of Wikström’s wife. The walls are papered. There are crystal chandeliers and oriental carpets. 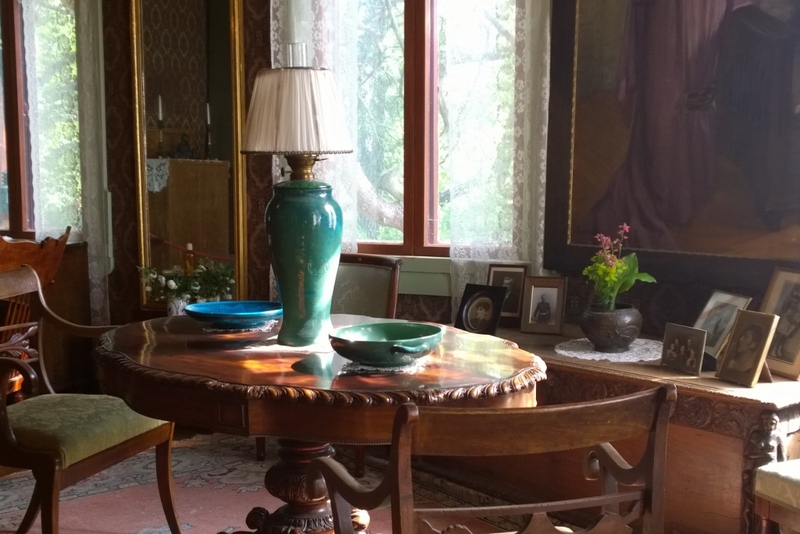 The period pieces of furniture were brought from abroad, mainly from Paris. Portrait of Emil Wikström by Wilho Sjöström. 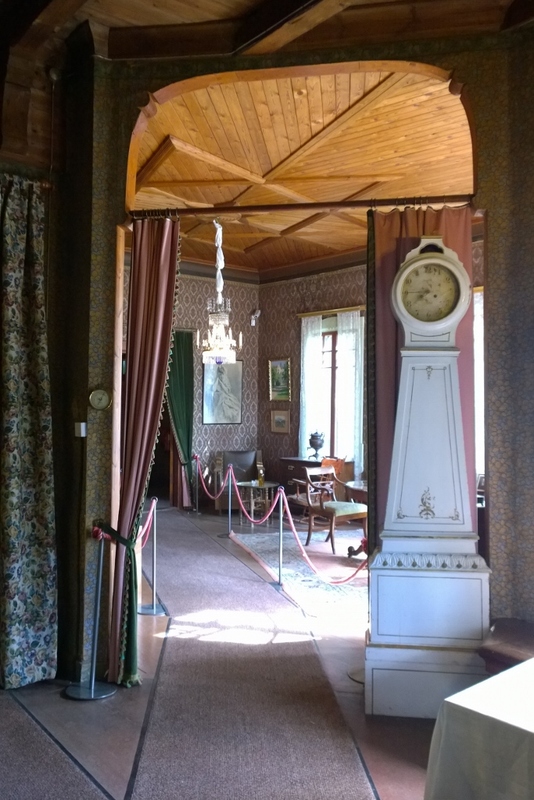 Yet, also inside the house every little particularity has been thought of and perfected with elaborate decorative details designed by the master of the household himself. 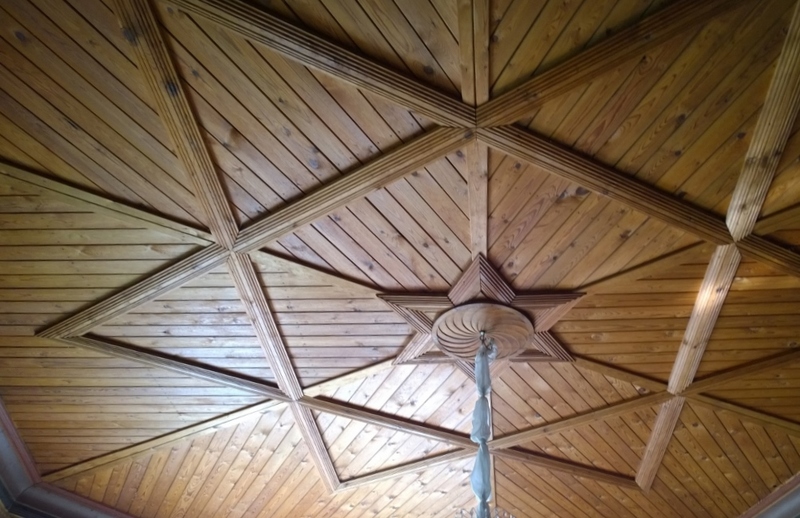 The ceiling of the elegant parlour, for example, is based on an oriental ornament but here it also indicates the cardinal points of the compass. 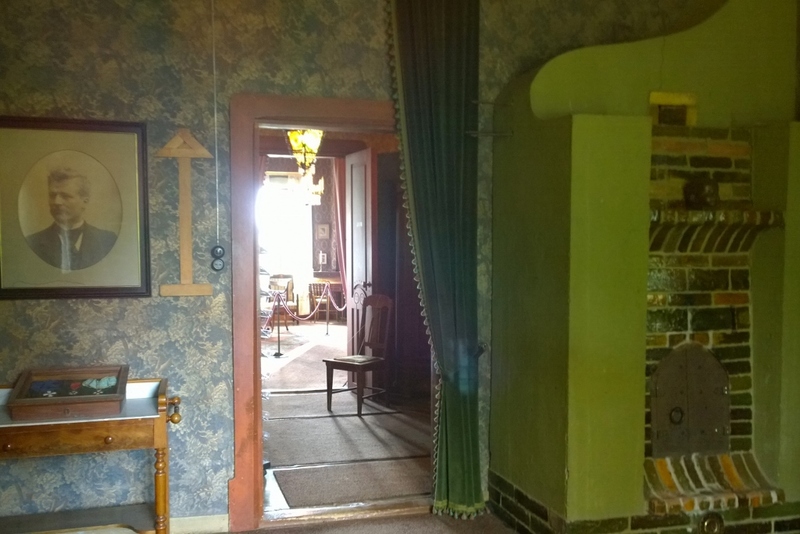 Each stove has an individual look designed by Wikström, etc., etc. The kitchen was rather dimly lit so I didn’t take any photos there, which I regret. 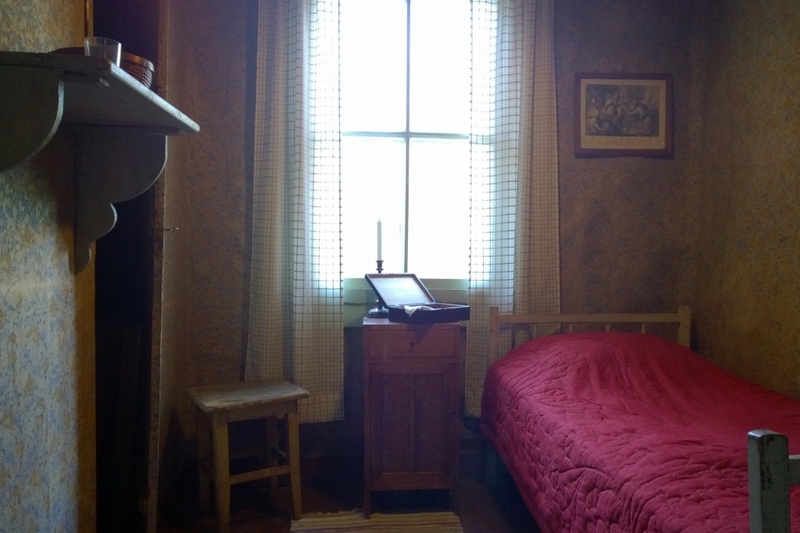 I later read it was equipped with all the latest appliances of the time, such as a special stove to warm the plates and an ice cream machine. Alice Wikström was a sophisticated lady who carried refinement in her bones. 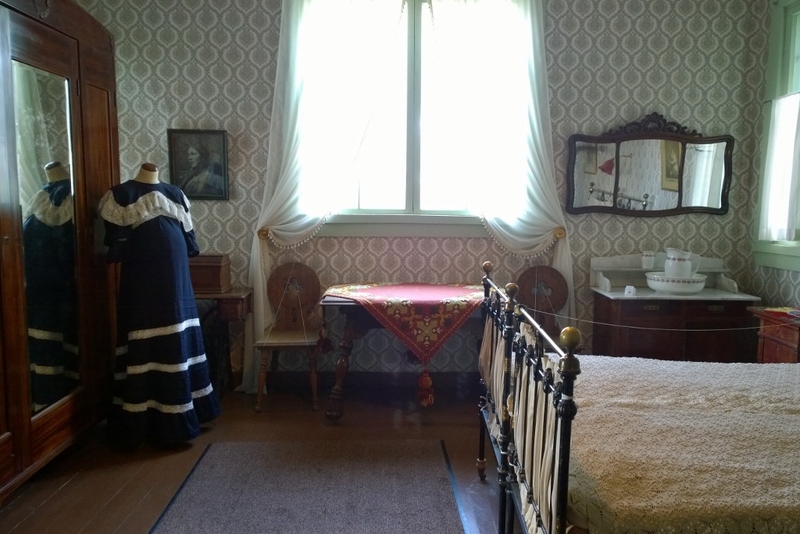 In fact, it is said she never felt completely at home at Visavuori. 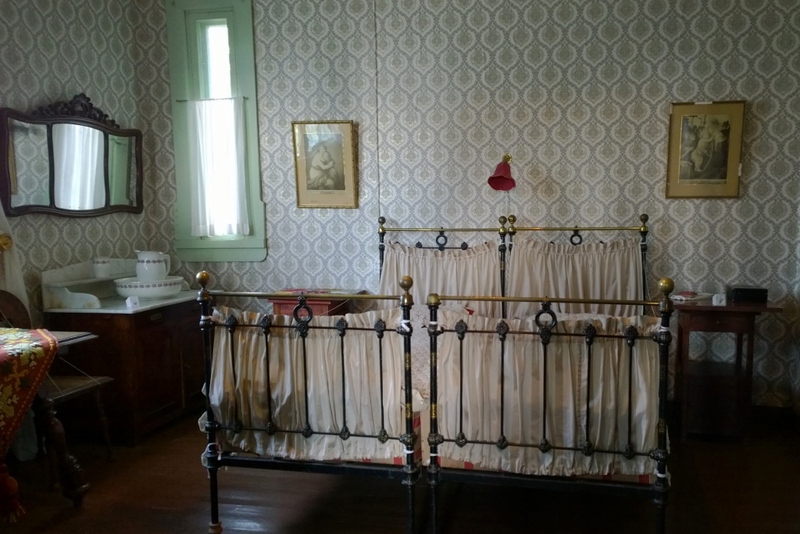 The French style master bedroom. 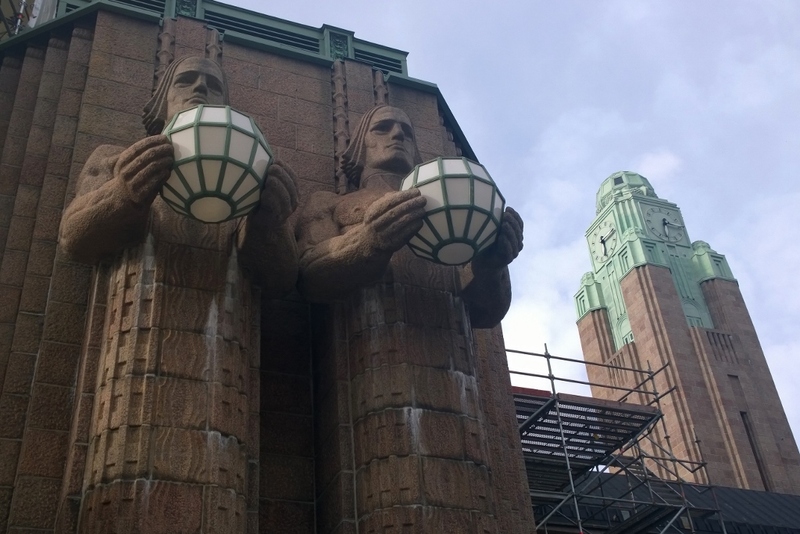 After the 1918 civil war, the family moved to Helsinki. 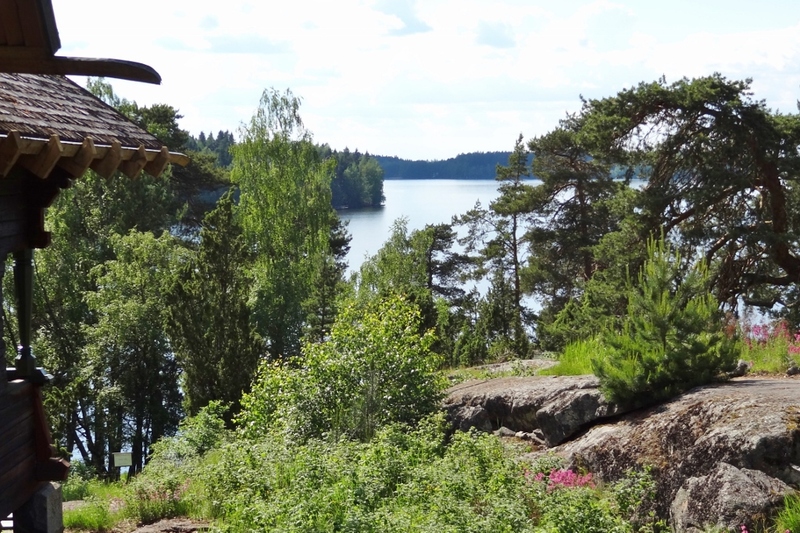 From that time on, Visavuori served as their summer and holiday residence. It remains Wikström’s best-known work of art. 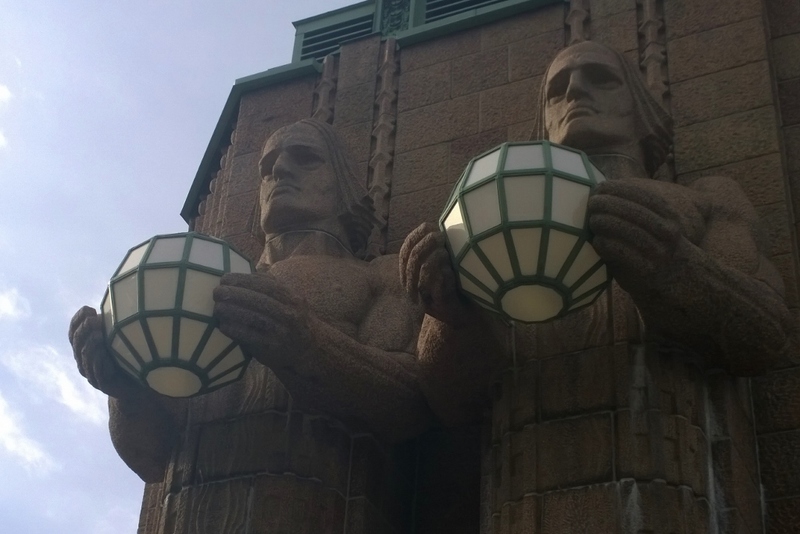 The four ‘lantern bearers’ also called ‘stone men’ at the main entrance to the Helsinki Central Railway Station are his best-known sculptures. 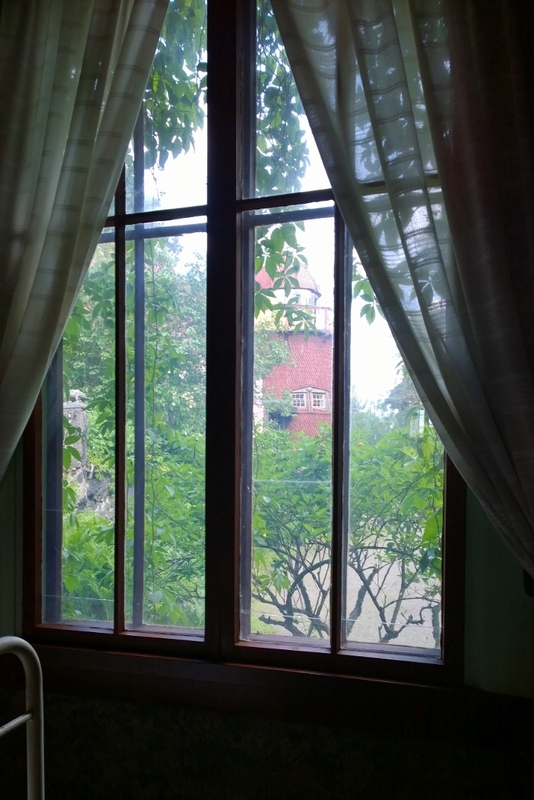 The beloved men were refurbished last winter and the building itself is currently under renovation. 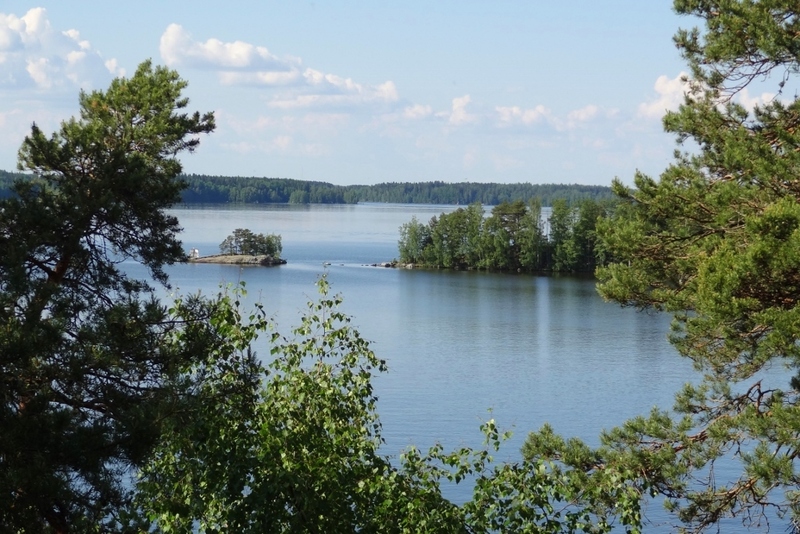 On siellä mahtanut olla idyllistä, vaikka rouvalla on tainnut välistä olla hankaluuksia saada kaikkia tarvitsemiaan tarveaineita sinne maalle metsän keskelle. Kiitos tästä postauksesta! Olen suunnitellut reissua Visavuoreen, joten olipas hauska nähdä tämä. Minä muistan joskus vuosia vuosia sitten hakeneeni kesätöihin tuonne..en suoraan sanoen edes muista, miten siinä sitten lopulta kävin. En ainakaan mennyt töihin, mutta jossain haastattelussa taisin olla. Vuosikymmenet olen ajellut kolmostietä Etelä-Pohjanmaalle, mutta aina on ollut kiire paikasta A paikkaan B. Nyt tuli vihdoin poikettua, ja olin haltioissani. The contrast between the exterior and interior is fabulous, isn't it?